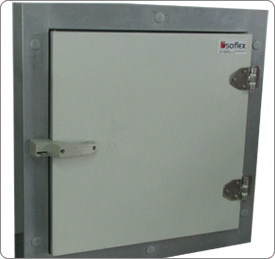 Specially developed for energy saving, Hatch doors are very useful in cold storages and freezer rooms where the entire door need not be opened. 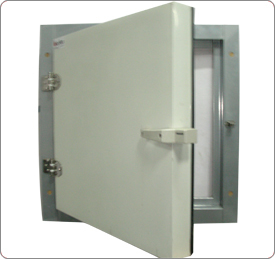 Accessibility through the small hatch doors ensures that energy is not lost. Fitted with high quality hardware, hatch doors ensure hermetic sealing and easy functionality.